Provost Forrest Maltzman said GW continues to prioritize hiring a diverse and strong set of faculty. Updated: March 21, 2019 at 6:10 p.m. 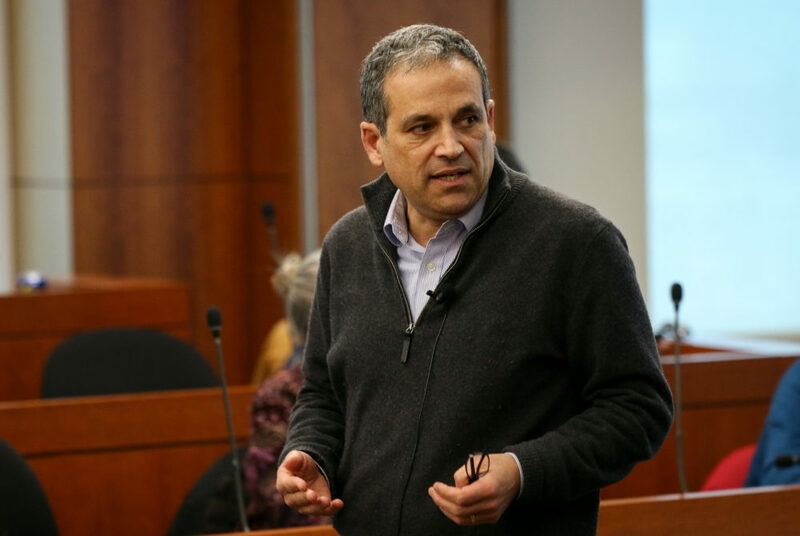 The University has hired Asian faculty members faster than other underrepresented minority groups, officials said at a Faculty Senate meeting earlier this month. More than 200 Asian professors were employed in 2018, a roughly 51 percent increase since 2009 and the highest number over the past decade, according to the presentation. Officials said the long-term increase reflects the University’s continued efforts to diversify the school’s faculty in both hiring and retention practices, and experts said the improved numbers could provide more nuanced perspectives in and out of the classroom. 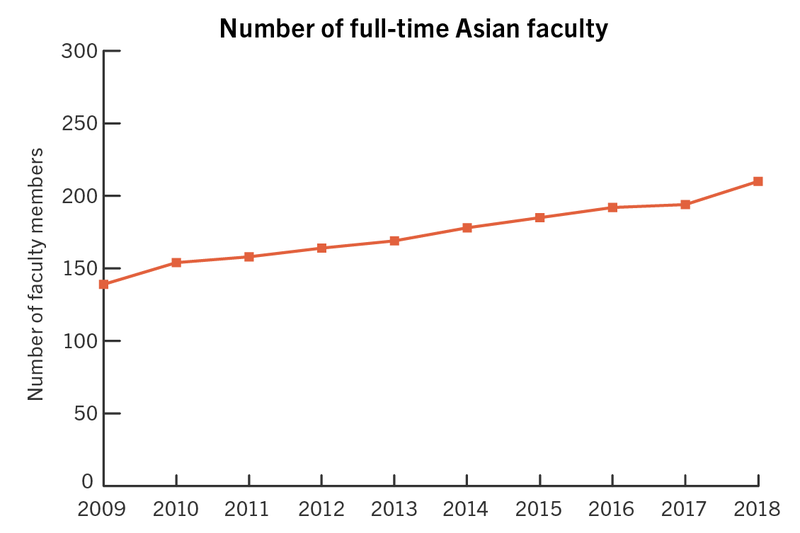 The increase in the number of Asian faculty has surpassed the rate at which the University has hired all other underrepresented minority professors, including black and Hispanic faculty. At the start of the academic year, the University employed 138 underrepresented minority faculty, up from 106 a decade ago. Provost Forrest Maltzman said GW continues to prioritize hiring a diverse and strong set of faculty. He said the largest number of Asian faculty have been hired in the Columbian College of Arts and Sciences, but the jump across all departments reflects an increased Asian presence in the applicant pool. Maltzman said the Milken Institute School of Public Health and the School of Engineering and Applied Science also saw a “significant” increase in the number of Asian faculty. But he said the University can continue to do more to prioritize hiring minority faculty. 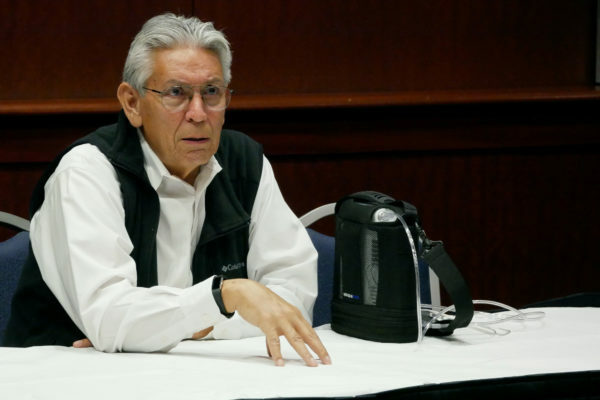 “When the deans come in and when the search committees meet, I want them to say, ‘Look at what we’re doing, our faculty is not as diverse as we would like it to be,’” he said. Maltzman said GW has instituted various new measures to ensure officials are hiring and retaining a diverse group of faculty. He said administrators now place diversity advocates on search committees, provide unconscious bias training to members of the committees and write broad job descriptions to attract more diverse candidates. Young-Key Kim-Renaud, a professor emeritus of Korean language and culture and international affairs, said the way universities have viewed potential Asian hires has changed over time as Asian countries have been increasingly perceived as “major engines of innovation and change” around the world. Kim-Renaud said the increase in Asian faculty may be a sign that those in “positions of power” at the University may become more diverse in the future, but she added that GW should shy away from hiring Asians to meet diversity thresholds. 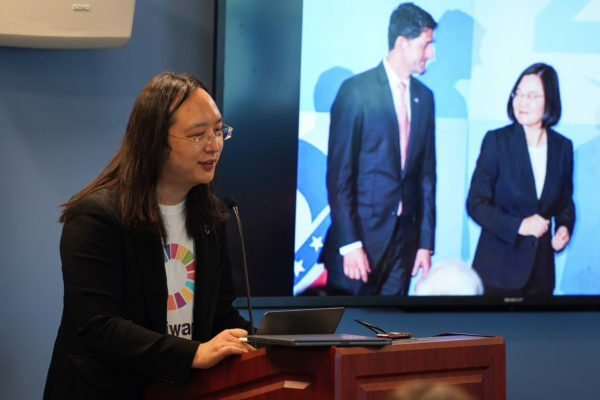 Susan Kuo, the associate dean for diversity and inclusion at the University of South Carolina Law School, said increasing the diversity of faculty not only boosts underrepresented groups but also enhances the overall student experience by providing new perspectives. “Colleges seek to increase the racial and ethnic diversity of their faculties for a variety of reasons, including a desire to address an actual or perceived underrepresentation of racial and ethnic minorities on the faculty, a desire to provide role models for a racially and ethnically diverse student body and a desire to prepare students to prosper in our multicultural world,” she said. Kuo said diversifying faculty requires a “long-term commitment” from both administrators and faculty to recruit and retain racially and ethnically diverse professors. “Faculty from underrepresented racial and ethnic groups may feel isolated and even unwelcome unless institutional and collegial efforts are made to mentor, support and befriend them,” she said. Paul Goldin, a professor of Chinese thought at the University of Pennsylvania, said a significant increase in Asian faculty strengthens diversity across the entire University and also promotes diverse ethnicities and religions. “Sometimes, the discourse on diversity isn’t diverse enough, and indeed sometimes diversities collide when you have parochial voices who lobby for one kind of diversity but are not as committed to the others,” Goldin said. Hayden Smith and Lauren Peller contributed reporting.